1020 Newly renovated - 100pct smoke free guest rooms within six high-rise buildings. All deluxe guest rooms have two double beds with private bath refrigerator microwave coffeemaker writing desk occasional chair cable TV with remote control hair dryer iron and ironing board radio alarm clock video check - out capability voice mail free wireless internet complimentary safe individually controlled air conditioning and heat and electronic locking system. Three out door swimming pools - 2 heated seasonally video game room and a childrens play ground. Family Plan - Children under 18 stay free in the same room with parents using existing bedding. Convenient to all area attractions. 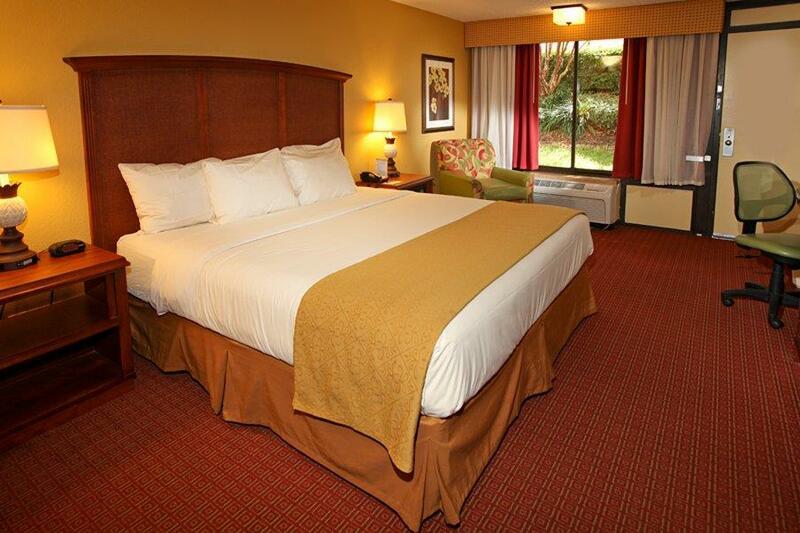 The Rosen Inn at Pointe Orlando is conveniently located to all area attractions. Free scheduled shuttle service to universal Studios Islands of Adventure Sea World Aquatica and Wet N Wild. We are located along the International Drive I-Ride trolley system. Convenient to all area attractions. Free scheduled shuttle service to Universal Studios 4 miles Island of Adventure 4 miles Sea World 2 miles Aquatica 2 miles and Wet N Wild 2 miles. Within Walking distance of the Orlando Orange County Convention Center. Hotel requires a 24 hour cancellation notice by 4 pm EST one day prior to arrival unless otherwise stated on your confirmation. Our Plaza Garden Buffet serves wonderful buffet-style breakfast and dinner daily.